Love Bond That Cannot Be Broken – Aaron Kaufman And Ford F100 Trucks! - Muscle Cars Zone! They say that love is eternal if you truly respect and adore the other person but true love does not only exist amongst people. There are different things that people can fall in love with and cars are definitely one of those. One such truly exceptional example is the love between Aaron Kaufman and Ford F100 trucks. But who he really is and how did this love grow up so fast? Probably most of you know Aaron from the one and only Discovery Channel show, Fast N` Loud, and yes indeed, he became a celebrity all thanks to it. However, his story goes all the way to his childhood when he first fell in love with all kinds of vehicles but specifically the Ford F100 trucks. Since his youngest of age he knew that he had to be around cars throughout his life. His chance of a lifetime was offered to him years ago when Richard Rawlings invited Aaron to take part together with him in a brand new project called Fast N` Loud. Of course, Aaron did not think for even a minute and decided to go for it. This show eventually became one of the best car shows on the planet, mainly due to the amazing job that Aaron did. After many years of success, things however, took a very surprising turn. 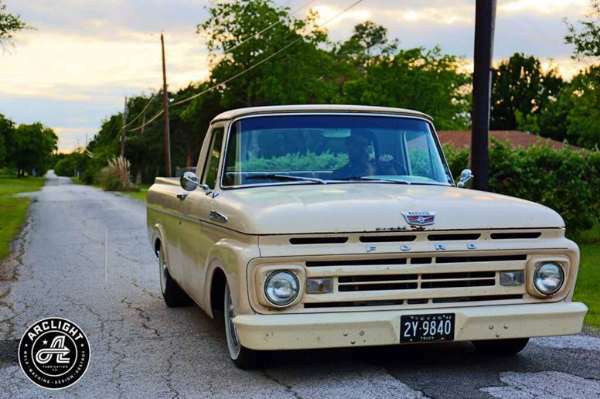 Namely, Aaron decided that he simply had to follow his childhood dream and work on Ford F100 trucks, something which was not possible with the guys from Fast N` Loud since they worked on all types of cars and trucks. On behalf of everyone`s surprise, Aaron told Richard that he quits and even though many fans thought this is a very bad decision, it eventually turned out the opposite. Aaron Kaufman established his very own company called the Arclight Fab, a company whose only focus is on restoring and redesigning Ford F100 trucks. However, all of this would simply have not been possible if there was not for his whooping net worth, reaching over $3 million. But this does not meant that Aaron will forever be gone from the TV channels. Not soon after leaving Fast N` Loud and establishing his very own company; Aaron returned to the TV screens with his very own show called Shifting Gears. As you might have already guessed, the show`s main preoccupation is Ford F100 trucks. Not only that Aaron fulfilled his dream by establishing his very own company about Ford trucks but by doing so, he helped the Ford community a lot. Namely, he purchases such trucks from all over the US and resurrects many parts, parts that have become surprisingly unavailable these past years. More specifically the shop`s focus is for the Ford F100 trucks manufactured from 1957 to 1979. His shop is located in Dallas and there are many events that are organized for people to hand out with and have a word or two for these wonderful machines. On the Arclight Fab web page you can find many goodies like the amazing Ford F100 engine swap you can purchase and much, much more.